Somewhat surprisingly, shorter tweets means more engagement with those tweets. It’s actually been suggested that rather than maxing out the length of your tweets, you should try to keep them at between 80 and 110 characters. One reason for this is if people do retweet you, they often want to add their own comments. And if you’ve taken all 140 characters, it means they need to edit your message to put theirs across. So at 140 characters, there’s a chance they’ll either slightly change the message you were trying to put across, or just think it’s too much hassle and not bother retweeting at all. But with the extra 30+ characters, they can share your tweet, and also share their opinion, and you just know how everyone on Twitter loves to share their opinion. Surprise, surprise, if you tweet when people are awake, you’ll have more engagement on your tweets! Your time zone does of course make a difference and how well that matches up to the time zone of your audience. But if you know who you’re tweeting to, then between eight in the morning and seven at night, is optimal. And this is true even if you’re tweeting at the weekend. Actually, many people have found that engagement is even higher at the weekend by up to 20%. Keep the same time window of 8am to 7pm in mind, but Saturday and Sunday can give your tweets an extra engagement bump. 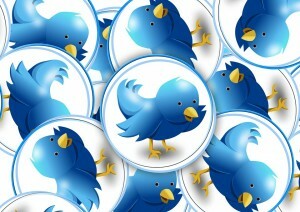 By using rich tweets and including video and images, you can boost engagement considerably. A picture, or a video, is so much more engaging that just text. This has always been true, will continue to be true, and is particularly true in the non-stop noise machine that is Twitter. Using relevant and effective media helps cut through the clutter and works harder to capture and keep the attention of your followers, making it much more likely you’ll be retweeted or responded to. Hashtags increase engagement. In fact, they’ve even been known to double it. One reason for this is they’re a call to action, rather than just passive content. Hashtags are prompting the person reading to do something. Of course, the vast majority won’t, but some will, and those that do engage with the hashtags are effectively working for you to help spread your message and your brand. But don’t overdo the hashtags, and ensure you keep them meaningful. #This #is #not #an #effective #use #of #hashtags. The hashtags in that example are largely meaningless, plus it makes your tweets almost unreadable. So try to keep it to two per tweet, maximum. So these three, simple yet powerful approaches to Twitter can dramatically increase engagement with your followers, help grow the visibility of your tweets and your account, and help make your brand a lot more prominent with your target audience.